TRAVEL.org - Idaho. 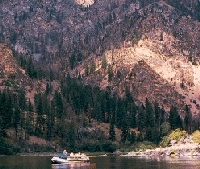 Find Hotels in Idaho, and other travel info. Red Horse Mountain Ranch - is a family dude ranch, vacation getaway, and retreat on nearly 300,000 acres tucked away in Rocky Mountains near Coeur d’Alene, Idaho. Courtyard Boise West/Meridian - Located off I-84, our full-service hotel is a short drive from companies such as Citi Cards, T-Mobile, and Hewlett Packard. Corporate guests at our Boise ID hotel will enjoy free wireless Internet, spacious conference venues, and award-winning service. Best Western Idaho Hotels - Offering 27 excellent lodging choices throughout the state in great towns and cities like Coeur d'Alene, Moscow, McCall, Boise, Twin Falls, Sun Valley, Pocatello, Idaho Falls and more. Sun Valley Rental Places - Vacation Rentals - Ski Vacation Homes, Cabins, Chalet Rentals in Sun Valley, Idaho. Professionally Managed Vacation Rental Accommodations. Boise Hotels and Accommodations - Discounted rates on Hotel rooms, Car Rentals, Flights, Vacation Rentals. Discountedhotels.com, your complete travel resource.